Whether you are focused on scalability, flexibility or affordability, our advanced cloud-based solutions are customizable. 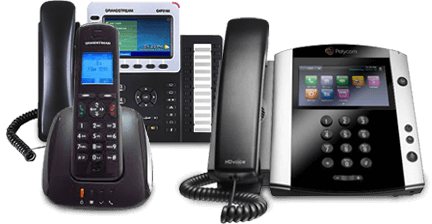 A hosted VoIP system offers any size of business full access to sophisticated phone system and features at a reasonable price. Enjoy quality business voice solutions without being a sprawling enterprise or making an enterprise-sized investment. ClarityTel’s business voice solutions, along with our virtual fax capabilities, are backed by excellent, informed support available to our customers 24/7 365 days of the year. Our affordable pricing plans bring you top quality VoIP business voice and fax solutions without breaking your budget. Choose the advanced solutions features that work for you. These include store locator services, receptionist call manager, call queue management, call recording, voice and fax broadcasting, live answering services and more. Update your legacy system to employ the business voice solutions that will help grow your business and make your teams even more efficient and effective. ClarityTel will happily customize high quality cloud-based telephony solutions to suit your business’s unique needs.